CTEC is housed at the Crawley Campus of The University of Western Australia. It is a purpose-built facility for medical and surgical skills education and training. This facility houses the Hill International & Surgical Workshop, St John of God Interactive Seminar Room, The Centre for Anaesthesia Skills and Medical Simulation, RACS lecture theatre and meeting rooms, research laboratories and virtual reality simulation equipment. The first day of the Anatomy of Complications Workshop is held at CTEC in the Hill International & Surgical Workshop and adjacent room. The Anatomy of Complications Workshop live animal surgery session is held at the Centre for Advanced Surgical Training. This is a facility for the animate-based training of health care professionals in surgical, anaesthetic and medical skills. 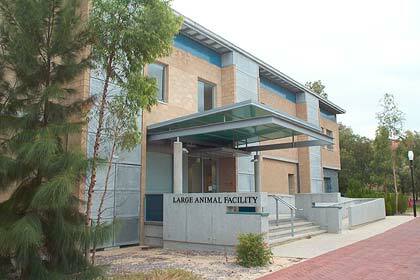 FAST is located in the Large Animal Facility at The University of Western Australia, Crawley Campus. The Large Animal Facility is a state of the art facility designed to handle domestic animals under experimental conditions including sheep, goats, pigs and emus. Within this facility are two operating theatres designed for sterile surgery and a four bay operating theatre for non-recovery surgery. For our live animal surgery session, the AC Workshop usually utilises 9 anaesthetised ewes. Experienced personnel are available and present at all times to ensure best practice in caring for the animals, anaesthesia and the use of equipment. The ethical responsibilities pertaining to the surgical activities of the Anatomy of Complications Workshop are critically important and the responsibility is fully met by FAST. All procedures performed as part of a course held at FAST must have the full approval of the UWA Animal Experimentation Ethics Committee.